Well, not really. If you have already downloaded the set, all you need to do is download the fix for the stove and potrack. Download the cmtuscanstove.zip and cmtuscanpotrack.zip and allow the new versions to overwrite the ones already in your downloads folder. 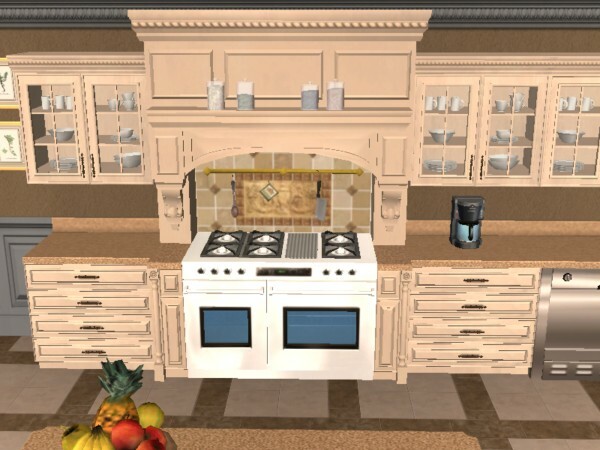 You may also have to delete and re-buy any stove or potrack that is already in your sims homes. The original stove file has been fixed (a million and one thanks to the awesome Echo for that) so that it no longer has problems accepting cooking commands. Hopefully this fix will work for all versions of the game. The potrack had a small issue with it's MMAT still redirecting to the base object it was cloned from. 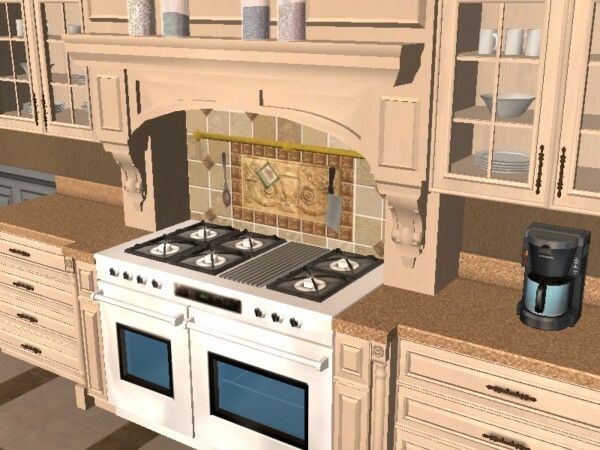 If you downloaded the set when there was only a fix for the stove and NOT the potrack, then you likely caught me before I got a chance to upload it. You will most likely need to download the potrack fix. The stove should be fine. Hello all! 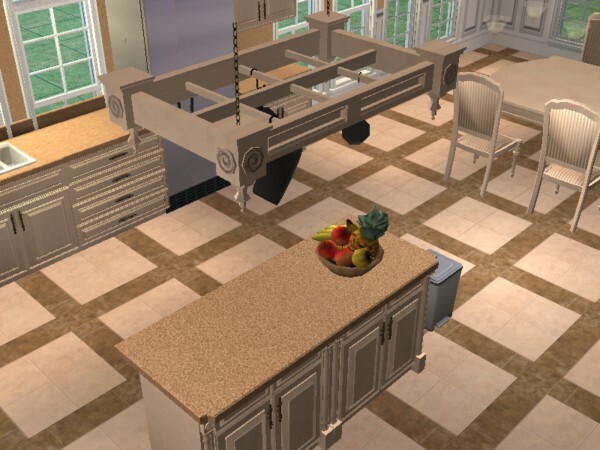 This my first foray into object making for TS2 and it's called the Tuscan Kitchen. I had originally envisioned this as a TS1 set, but never got around to it. So here it is now in all it's 3D glory! 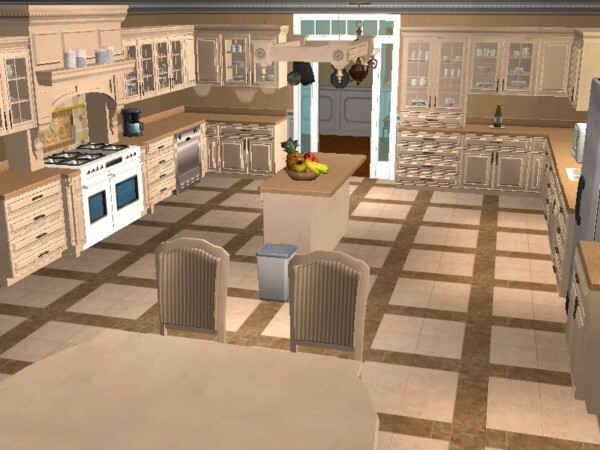 The Tuscan Kitchen is a classicly elegant set with a touch of Old-World charm and warmth. The ornate nature of this set means it has very high poly counts. Nothing too ridiculous, but please, please know your machine's limitations before downloading this set. I have listed each object's poly count in parentheses. All the items in this set should be base-compliant. Everything here is cloned from objects shipped in the original Sims 2 game, and should work for those who have only have the base game. But please keep in mind that there are modded objects that may still be buggy. 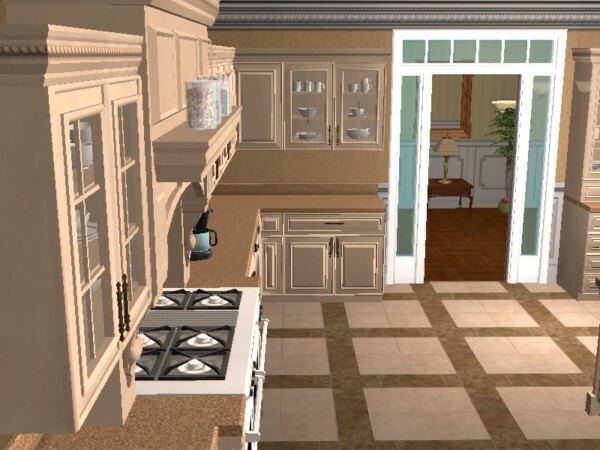 Note: Cabinets, stove hood and potrack are found in the miscellaneous portion of the 'Decoratives' section. 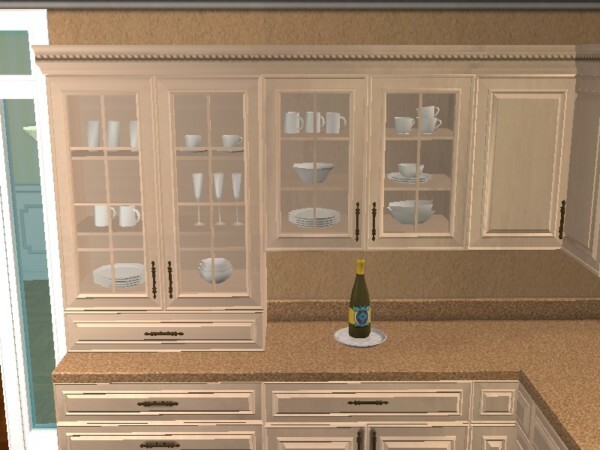 I know the glass-front cabinets have really high counts. If there's enough of a demand for it, I can make low-poly versions with fewer dishes. These items may need CEP. As a rule, all simmers should already have this amazing piece of software. If not, tsk-tsk! For shame! You will also need to download WinRAR to unzip this file. I cannot provide .zips for these. Thanks to Numenor for his lovely counter and 2x2 table templates. Also, thanks to Echo for fixing the stove and thanks to everyone on the boards who answered my incessant newbie questions. Please feel free to recolor this set, but do not host the files anywhere else. Please simply link back to this thread and allow users to download the actual set from here. If you'd like to include these pieces in a lot, that's fine, so long as they are NOT uploaded to ANY paysite. Please also give me full credit and a link back. Thanks. Please let me know what you think! I am not allowing this set to be cloned, hacked, or uploaded to the exchange. 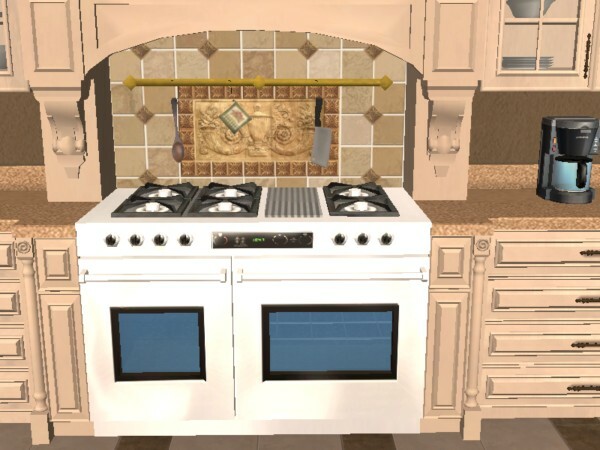 I have included some very basic/rudimentary recolor templates for the stove and hood. I feel that these are the only objects that really require the use of templates since they both have so many different parts. The other objects of this set are textured in a pretty cut and dry way and are easy to dissect. There is also a reame included with some friendly advice for those looking to recolor this set. These recolours may or may not be endorsed by phoenix_phaerie.